"How do I love thee, let me count the ways" is the most famous line by Elizabeth Barrett Browning that I keep on seeing around Valentine's Day. When I was younger, Valentine's Day to me was a big deal. It was a special day to be with the person you love. Now these days I celebrate it with my kids. Maybe I might be lucky this year and celebrate with someone special. Once again, Hallmark has a wonderful collection of Valentine's Day cards and gifts to give anyone on your list. It has been awhile since I cracked open a National Geographic magazine. I have always love looking at the pictures. 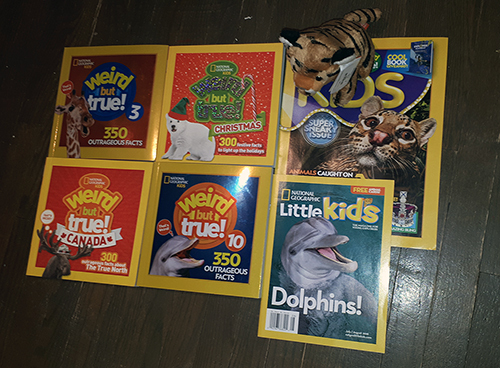 I have seen National Geographic Kids magazine in stores and I didn't know they have been around since 2004.